We are your local licensed Medeco High Security Lock and Key dealer and installer. San Diego commercial and residential property owners have called on us for generations for the very best in high security locks and keys. The safety of your home and business is important to us and our high security locksmiths will be able to recommend the very best security system for your specific situation. We offer lock cylinders that are not available to the mass market, and which use keys that have legal protection from unauthorized duplication. Your options include mechanical lock cylinders, a combination of mechanical and electronic cylinders, and ‘intelligent’ electronic cylinders. Will you be handing out the keys for your locks? Do you care if the people who get the keys get them duplicated without your permission? Would you like to know who goes through your doors and when? Most locks come with very common keyways and lock cylinders that can be duplicated without your knowledge. Two key blanks make up over 90% of all door lock keys, and these 2 offer NO control to duplication. Upgrading your current lock cylinders is not costly and offers greatly improved security and assurance. 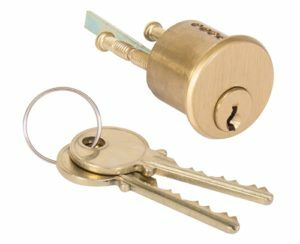 High security lock cylinders use keys that are controlled and can only be copied with your expressed, written permission. Limiting of key duplication is one element offered with UL – 437 cylinders. Standard locks just can’t offer the assurance and peace of mind that quality high security locks provide. If you want assurance that you are the only person who has keys to your locks, you must use a higher level of security lock cylinder than is offered as standard. Our high security specialists will listen to your description of your unique needs and find a smart solution. Since 1914, San Diego neighbors have trusted the expert security knowledge of Grah Safe and Lock. We are just around the corner from you and are committed to making San Diego neighborhoods as safe and secure as possible. Let us teach you what we know about high security locks and keys. We’re ready to talk to you! Q. Can I buy a lock from you and install it myself? A. As locks cylinders are changeable, for those customers who have staff who are trained, or could be trained to replace cylinders, we can provide the completed package for trained on-site personal to install. Generally with High Security lock cylinders customers want the convenience and peace of mind of having Grah install and maintain the access system. Q. Can I use some of my existing hardware? A. Often only the cylinder needs to be upgraded to improve your security, not the entire lock. Q. Can I add on later? A. Our High Security Systems are designed to be expandable. We can add on to your system in the future as your needs require.